Why You Must Eat Avocado Every Day! 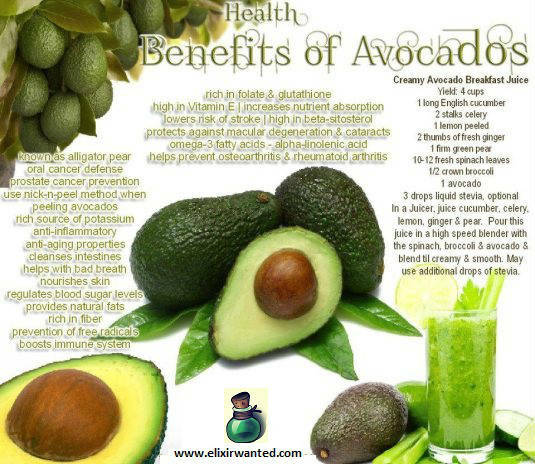 Avocado belongs among the fruits that modern nutrition really appreciates. For treatment you can use the fruit itself, the leaves and the core of this unique plant. The leaves, which are used for treatment, can be harvested in April. The fruits are ready for harvesting in fall. 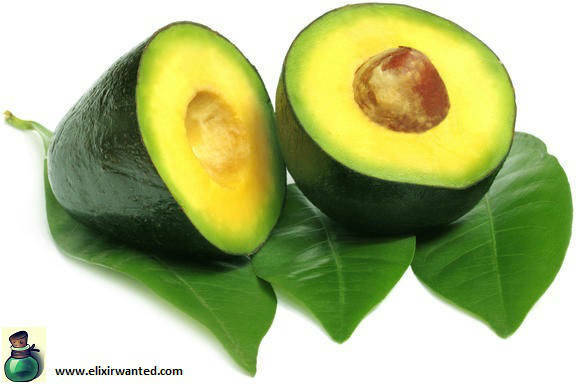 Avocado fruit contains up to 30% fat, 2% protein, 1.6% sugar, and salts of potassium, calcium, phosphorus and magnesium. Avocado contains a lot of different vitamins including vitamins A, B, C, D, E and K.
The easy way of absorbing fats, salts and vitamins make avocado extremely valuable dietary product. It is recommended for diabetes, gastritis, hypertensive heart disease, atherosclerosis, and anemia. The seeds and leaves help in diarrhea and dysentery problems. The skin of the fruit leaves and young twigs are used by folk medicine against worms and gastrointestinal disorders. Fruits are successful use in the confectionery industry. Leaves and bark of the trunk and the oil of the fruits are used in the perfume industry. In France, on the basis of the content of avocados are produced drugs for the treatment of scleroderma, periodontal disease and osteoarthritis. Preparations of avocado are good for the elderly – help refund decalcification and eczema. Finally, this is a delicious food: eating with salt or sugar, add to salads, purees and other original dishes.